Today was the first day of winter and it felt more like April. The melting snow caused the rivers to rise overnight. I woke early to see the flow gauge on the Chagrin starting to creep up. The river was stained, but fishable in my book. There was still enough snow left in the woods and several feeder creeks were pumping sediment into the river. The fish were stubborn today and big pink sacs finally won them over. The tail end of the pools was the ticket and nearly all of the fish I caught were dark and post spawn. Through out the day, the river conditions got worse and I decided to head home. On the way home I stopped by the Rocky and it was running high. Now for the recap, this past fall was no different from the past ones we had - dry and hot. Both September and October were busts due to non existent rainfall. It was so dry in Pennsylvania that some fish become trapped into last remaining pools. They were harassed within an inch of their lives by the hordes of anglers. Due to the dry conditions, a lot of PA fish headed west. 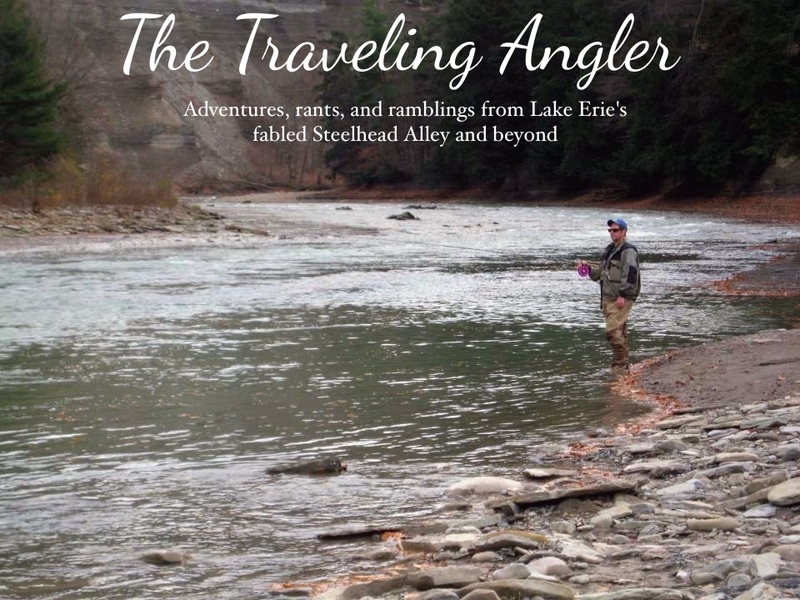 I hit the Conneaut in late September only to miss the fish as they headed back into the lake after the creek got low. I spent most of the time casting spoons from the break walls patiently waiting for cooler weather and rain. The colder weather and rain finally came in November and one river had a huge run. The Grand was the best in recent memory. It got a big run PA fish and during that month, I had 20+ fish days several times out. The reason for the great fishing conditions was the Grand was running low. It’s rare to have conditions like that and I took advantage of it. As for the others, the fishing was average to below average. The Chagrin also had a run of PA fish as I caught many spawned out fish in the upper sections. I got reports from the Vermilion that the fishing wasn’t something to write home about. The Rocky was average and finally got a good push of fish before the last week of month. As for the Conneaut, high fuel prices kept me closer to home. Then the weather took a turn for the worse after Thanksgiving with rain. I booked off the last week of the month and the rivers got blown out Monday morning. Not wanting to waste an entire week, I made a rare trip to the Elk. It turned out to be one of the best days ever as I caught an obscene number of fish. For the month of December, rainfall and melting snow limited the number of fishing days. Due to rainfall ever week the Grand has been virtually unfishable for the month. For the past month, I’ve been fishing the Chagrin a lot and posting good number of fish. The Rocky has been fishing great of late, but I never fish it during the weekends. This weekend we receive more rain and the rivers are blown out. On the good side, there is no more snow. I'm crossing my fingers that the Grand will fish this upcoming weekend. 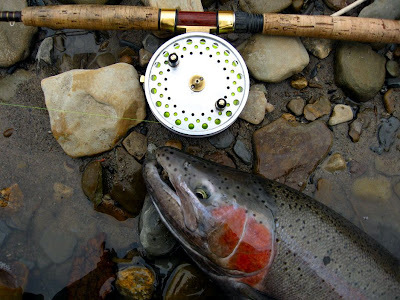 Without anymore rain, the rivers should fish after Christmas. Congratulations on a great season Greg and good luck in the new year. I enjoy checking in here periodically and seeing whats happening on the other side.